Winter Trout Season is now open in southeast Minnesota. Just go! And layer up. And don’t keep any fish – it’s only open for catch-and-release. If you’re new to the idea of winter fly fishing for trout, I recommend not getting your hopes up for the catch rates of spring and summer. 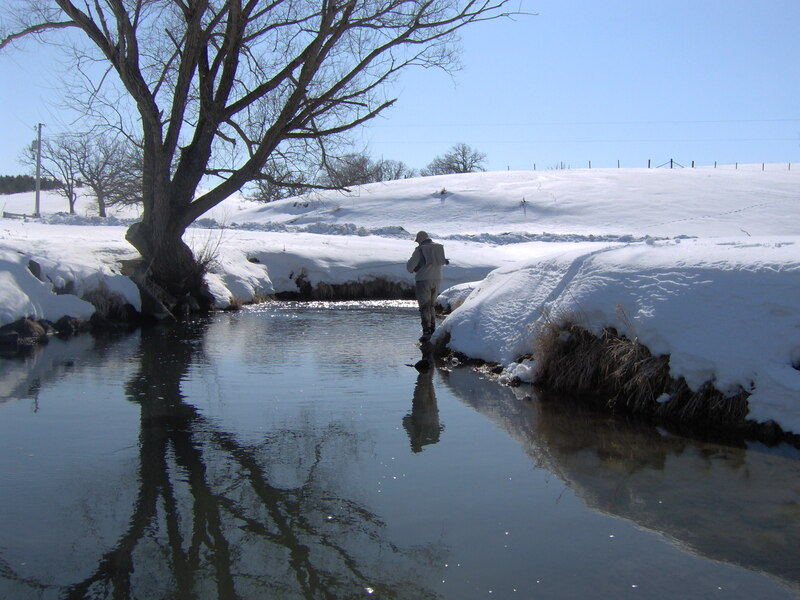 While springs keep our trout streams open, even on the coldest days, lower water temperatures this time of year mean a lower metabolism for fish. Midges, scuds, small PT’s are the usual, winter fare. Make sure you know the regulations and which streams are open. 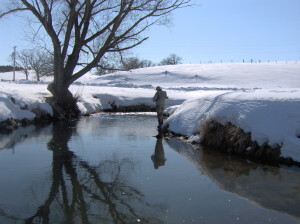 There are still only select streams open for winter trout season. Have you heard Trout Run is open for winter fishing? It’s not. At least not the one you’re thinking of in Fillmore County with the famed Bucksnort Dam. There is a little stream in Whitewater State Park also named Trout Run – that’s the only Trout Run open for the winter season. If you want to know exactly where you can fish, it’s very easy. Here are the maps of streams open for Southeast Minnesota’s winter trout season. Stream conditions? The usual winter fare. It’s a rare winter’s day that our trout streams are anything but low, clear, and cold. If you’re uncertain, check here or here to see if there’s an update. Reports, pictures are always welcome on the message board. This entry was posted in fly fishing, trout on January 2, 2013 by Randy. 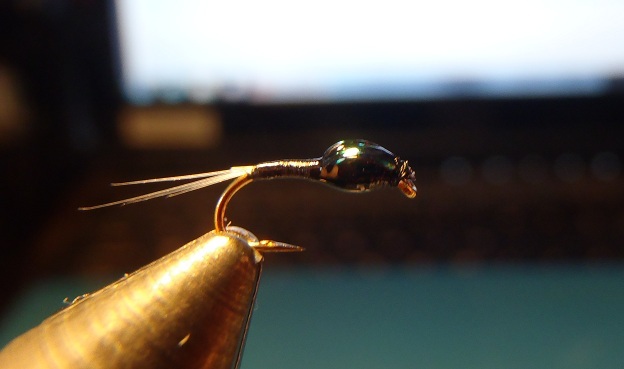 Looking for a simple baetis nymph pattern? This entry was posted in fly fishing, fly tying, message board on January 2, 2013 by Randy.